Figure 2. Front Block Plate Removal. 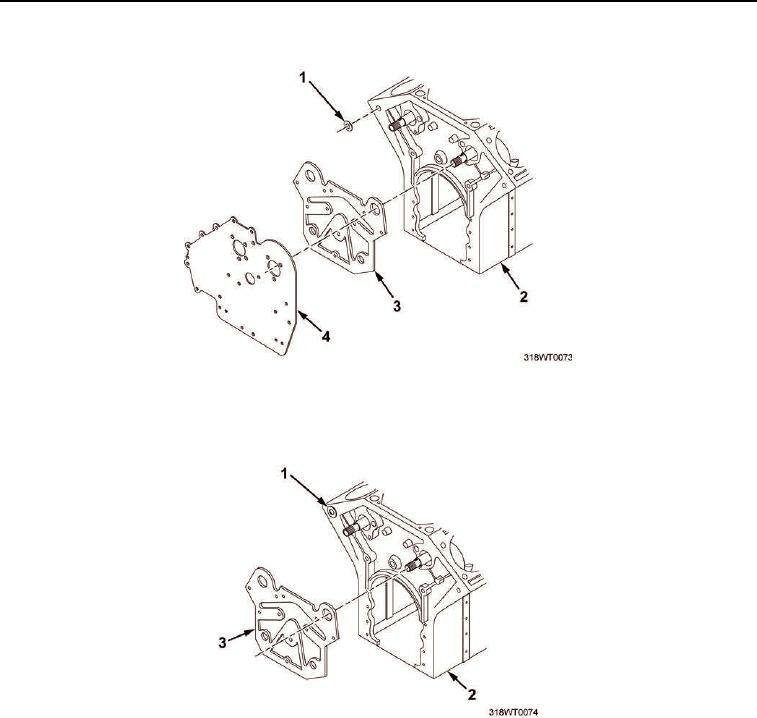 Install new gaskets (Figure 3, Items 1 and 3) on engine block (Figure 3, Item 2). Figure 3. Engine Block Plate Gasket.